Gardens in urban areas can harbor a remarkable diversity of species. This has been found by researchers from the University of Basel in a field study carried out with the support of private garden owners from the Basel region. Furthermore, the research team shows that nature-friendly garden management and design can largely compensate for the negative effects of urbanization on biodiversity. The study will be presented at the public conference “Nature conservation in and around Basel” on 1 February 2019. More and more people around the world live in cities. Accordingly, settlement areas are also rapidly increasing, often at the expense of near-natural habitats. So far, it has been widely assumed that the few green spaces remaining in cities can only accommodate a limited number of species. The reason for this is the high proportion of sealed areas, which makes the exchange of small animals difficult or even impossible. In addition, cities have higher temperatures and less precipitation than rural areas. However, even small and isolated green spaces can contribute to preserve biodiversity in built-up areas, as researchers from the Section of Conservation Biology at the University of Basel have shown in a large-scale field study. Following a public call for participation, 35 garden owners from the Basel region made their green spaces available for the field investigation. At regular intervals in 2018, the researchers visited the gardens to determine the diversity of native plants and soil-dwelling animals. Typically, these small creatures are hardly noticed by garden owners, even though they fulfill important functions in the garden ecosystem. “For example, spiders help to reduce pest insects; ants mix the soil and thus contribute significantly to soil aeration, while woodlice and millipedes are important for soil formation,” explains the conservation biologist. A total of 254 species were found in the 35 gardens, including 24 ants, 10 woodlice, 87 rove beetles, and 24 ground beetles, 39 snails, 52 spiders, and 18 millipedes. In addition to the expected widespread species, some rare species listed on the Swiss Red List of threatened species were also found. 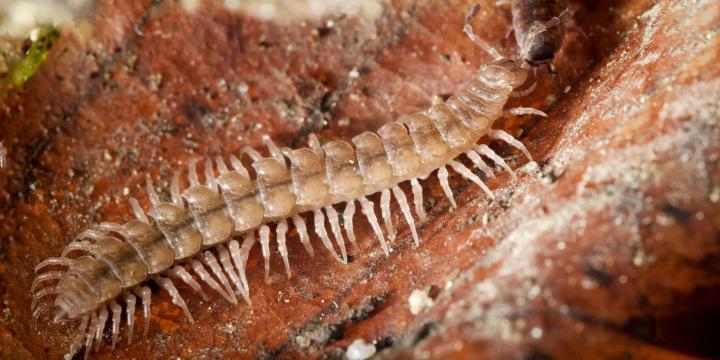 Noteworthy, furthermore, are the first records of four species of millipede species, which have not yet been found anywhere else in Switzerland. The results of the study point to the great importance of small green spaces in urban areas; garden owners can directly promote biodiversity by actively increasing the structural diversity of their garden and thus make a sustainable contribution to urban biodiversity.